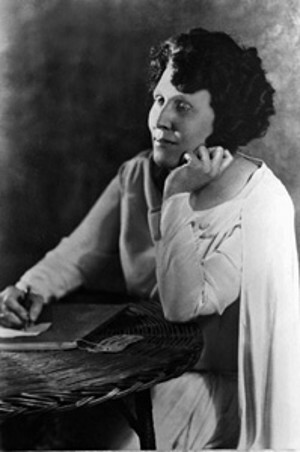 Renowned evangelist, revivalist, and author Virginia Brandt Berg (1886-1968) is best known as one of the early radio evangelists through her radio program Meditation Moments, which ran for 15 years starting in the early 1930s, and resumed in the late 1950s. The riveting story of her journey from agnosticism to faith, and from crippling life-threatening illness to miraculous healing touched the lives of many and led many to faith in Christ. Over the trails of the Blue Ridge Mountains a circuit rider went preaching the gospel. From Ronsevert, West Virginia, through Valley Forge and Roanoke to the East Coast of Old Point Comfort, he told the “old story.” Though he loved the hills of Virginia and the hospitable fold of that country, he was young and ambitious, and often dreamed of a large church where he could preach to the multitudes and see his visions fulfilled. Also he would be an author some day, he planned, and reach the hearts of the people not only through the spoken, but the written message. His name was John, and like the beloved disciple, he longed most of all to please his Master and have his life count to the very fullest in His service. There were many obstacles—the severest trial, keenest sacrifices, real poverty; all these in those early days when the small town and country church gave a bare living to the old-time circuit rider. But this young man had an indomitable will, undying courage, and grim determination; which had been born in the heart of the country boy through hard work, extreme hardships, and real privations on an old farm in Ohio. These very qualities, linked with his faith in God and prayer, brought him, as it has many a country boy with the same obstacles to overcome, up from the obscure farm to the fulfillment of his dreams. Today if you will take that well-known book, Who’s Who in America, and run your finger slowly down the page through the letter “B,” you will come to his name, the name Brandt, and then the given names, John Lincoln. NOTE: Copied from the 1933 volume of Who’s Who in America. Clergyman, lecturer, Ordained minister of Christian (Disciples) Church; Pastorates: Denver, Terre Haute, Toledo, Valpariso, St. Louis, Muskogee, Oklahoma, Cathedral Church of Christ, Melbourne, Australia. Now pastor N. Vermont Christian Church, Los Angeles, Lyceum lecturer; extensive traveler. Mason. Author: Lord’s Supper 1888; Turning Points in Life 1890, Marriage and the Home 1892, The False and the True 1893, Soul Saving Sermons 1895. Anglo-Saxon Supremacy 1915, Great Bible Questions 1926, Finding Christ 1939. Captain Jack. Writer for magazines and religious journals. But the part of the story with which this books has to do, began back in those Blue Ridge days when there was born in the home of the young circuit rider, a tiny baby girl, and so tiny she was, that she weighed only a few pounds. I was that baby girl, born in Ronsevert, West Virginia, and as I was such a tiny piece of humanity then, just so small do I feel in my own estimation today, as I write of my life. However, I would never tell this story if it were really of my life, but it has to do with another Life—so beautiful, so wonderful, so beyond compare that my very heart thrills at the opportunity of telling you of the wonderful thing which He did! This other Life of which I speak is that Life Divine of the matchless Christ, who says that “He came that we might have life, and have it more abundantly.” This Wonderful One, the Christ of glory, who stopped so many times along the Jerusalem road to comfort or touch the poorest and humblest of men, stopped one day at my door and stooped to touch my broken body. Wonder of wonders that He should care for the very least! Miracle of divine Compassion that He should stoop to the lowliest! Marvel of the ages that He should so love us! And never-ceasing wonder that, while we were yet sinners, Christ died for us. This High and Holy One, this Lovely Man from the Glory stooped so low one day as to touch my broken, blighted life, my suffering, dying body, transforming them both forever by a miracle of grace. As a mighty rescuer, in his sacrifice and bravery is lauded, honored and loved while the rescued one receives only a passing thought, so will you, as you read, think on the mighty Savior and His wonderful love, and give only a passing thought, please, to the name and life of the rescued one. All glory to His Name! “But this is Christmas day, and it won’t seem like Christmas in a hospital; I’ll be very careful, I promise, if you’ll let me go this morning.” And so after much pleading, the doctor, against his better judgment, gave orders to get me ready. My heart was simply thrilled at the thought of home, husband, Christmas. I had gone down into the valley of the shadow where so many mothers have been, and snatching up this little life, I had come back with heart simply overflowing with joy that God had given me a son; that dear little warm bundle resting close beside me there was my very own and I could take it home with me. Home would be different from now on; it was such a wonderful place anyhow, for my husband and I were very happy, but it would be like a real family with a baby there. And the neighbors had prepared Christmas dinner for us; they would have it ready, they said, by the time I arrived. Oh, it was all too good to be true, and it was such a beautiful Christmas. It seemed as they carried me out of the hospital door to place me in the car (for I was still too weak to walk) that I had never seen a prettier Christmas. There was a deep mantle of snow on the ground and I exclaimed at the beauty of the trees, as their snow-laden branches reached out, glistening white, in the sunshine. The outdoor air was so fresh and cool that it made me feel stronger. I looked about on the world with new hope and joy. It was wonderful just to be alive, but to have the added joy of my new treasure was almost more than my cup of happiness could contain. And Christmas day! I had always loved Christmas better than any other day. And home! We were almost there now—just in sight of the house—how good it looked! How swiftly, unexpectedly, tragedy can come stalking across Life’s path; one moment the sun is shining brightly—the next, the sun hides his face behind a storm-cloud and the whole world suddenly turns gloomy and dark. Across the wonderful joy in my heart, and the beauty of that sparkling Christmas suddenly fell a shadow so deep and long that it overcast and blighted the years to come. “She is paralyzed from the waist down; I can find no reflexes here at all. From this superficial examination I would say the back is broken, but only the X-ray can truthfully tell just what the injury is. I sympathize with you deeply and will do all in my power to help, but I feel there is very little that can be done. There is only one chance in a thousand, and that chance is an extremely dangerous one, but I can tell you more about it after the X-ray. Good afternoon.” The door closed. I was left alone in the little room—alone with a broken body; broken hopes; and a broken heart. I could hear faint whispering of friends who were anxiously talking it over in the dining room; a white-faced, heavy-hearted husband had gone for some supplies. A kindly nurse bent over me. “The baby is crying: shall I bring him?” I only nodded, for I felt if I even opened my lips to speak one word, the torrent of my sorrow would tear my aching body to pieces. She brought him in and laid him beside me—the same warm cuddly little bundle; but the joy was now gone from my heart. Still and white, and cold as the snow that greeted me that wonderful Christmas morning, I lay staring at the ceiling; numbed, dazed, still hearing the doctor’s verdict. The bundle stirred, then a faint cry that echoed in my heart, and there came the blessed relief of tears—a stream of tears that flowed over a span of five years—five years that followed, of awful agony, suffering, and heartbreak—years of intolerable pain, isolation, and loneliness—years that seemed endless with hopelessness and despair. READER: Please do not fail to read the following note. It is vitally important to the reader of this story. The wonderful skill of the surgeons and splendid medical care brought as a result of the operations partial restoration to life of the lower part of Mrs. Berg’s body, which had been paralyzed, but so great was the shock of the operation, because of her already weakened condition, that she suffered a complete collapse and did not recover from the effects of the operation for months. The following five years of invalidism, during which I nursed her, with the help of others. She developed acute angina of the heart, which is pronounced incurable by the medical profession, and causes extreme suffering on the part of the patient. She already had aortic and mitral stenosis (a valvular trouble of the heart). Many times I have sat beside her, holding my fingers on her pulse, when there would only be two or three heartbeats out of every five, and more times than I can remember when she grew so weak, toward the last, that I could not feel the pulse at all over a period of many seconds. Her stomach became completely salivated; the bowels partly paralyzed. Over quite a period of time, we gave her nourishment through a tube, as she was unable to swallow; a severe lung trouble had developed and the right lobe of the lung was almost completely gone. There was a large lump on the back of the head at the base of the cerebellum—a lesion, which would interfere in some way when she turned her head, and caused her to sink into unconsciousness. The trouble grew worse as she grew weaker; at last she was unable to turn her head at all. Acute pyorrhea set in in her gums, which were inflamed and swollen, and nearly every tooth was loose. She was, with rarest exceptions, unable to take any solid food at all, and was fed only diluted liquids through a tube. During the last year of her invalidism she was seriously paralyzed on the left side and lay absolutely helpless on rubber cushions, while she was fast going blind and was kept alive only by stimulants; for over five years she was a helpless, hopeless invalid, lying on rubber cushions, weighing only 78 pounds, her body emaciated and her face gaunt; unconscious most of the time towards the last—an intense sufferer—a hopeless case, absolutely given up by the physicians. She could not even be turned in a sheet, to rest her back, for if she was turned on her side for even a moment or two, her heart would begin to lose beats—slow down—and once it actually stopped beating, when we took too great a risk. I carried her on a stretcher to the Battle Creek Sanitarium; in the same manner to St. Louis, Missouri, to a heart specialist then clear to Corpus Christi, Texas, still on a stretcher; and on to San Francisco, California, where we decided to take her to some quiet place to spend her dying days, as she steadily grew worse, and the medical profession were perfectly agreed that no matter where we went, there was not the least hope, nor the least thing which they could do. I desire to testify to these facts, having been an eye-witness to the operation and a constant attendant upon the case throughout the years of invalidism, and can truthfully say without the shadow of a doubt, that what happened to Mrs. Berg (which she tells in her story) was truly a miracle. May God richly bless you as you read; strengthen your faith and deepen your love for Him. “From death bed to pulpit, overnight” was a small thing for His power. He can do still greater things for you, and says in Jeremiah 33:3, “Call upon me and I will answer thee and show thee great and mighty things which thou knowest not.” According to your faith, be it unto you. In the long weary months that dragged by I lived with memories. How little some of us realize that the day may come when our only companions and our only source of comfort will be the things we take down off memory’s shelf. Hours at a time I was left alone with only my thoughts as companions. I could not see to read, I was too weak to talk, and lived so much on the borderland of death that I had very little in common with the living; literally shut in with my memories. During my girlhood my father had insisted that we commit something to memory every week. He believed heartily in a well-stored memory and did all he could to make our young minds a veritable store-house. Some people have the idea that because a thing is in the past it no longer exists—it is only a memory. But I found during those days that memories were living things, and that I had to live with them day after day for years. How different my life would have been if I had only known—only stopped to think that I would some day have to live with them along the way! Through my parent’s insistence I had stored away a quantity of Scripture which was to be a marvelous blessing, a turning point in my life later, but at this time it meant nothing to me because of a great shadow of unbelief that had darkened my life: What a tragedy that during those fearful days I did not have the comfort of God’s Word, the faith in His promises, and the realization of His presence, that I was to have later! How different those days would have been to me afterwards, but my life was a bottomless abyss of aching void; my soul an empty shell filled only with insatiable desire, for not only did I have a broken body, but broken faith, also—no hope; no God. Let me take you back through some of those memories, and you will better understand why God dealt with me as He did. I believe I can truthfully say that the only religion I had was “inherited religion”; I inherited it just as I did some of the characteristics of my parents, which I carry to this day; just as one would inherit some family heirloom and while keeping and treasuring it, yet never putting it to any practical use. I was born in the lap of the church. I was a preacher’s daughter; I never knew anything but the church—its services, its people, its teachings. When about six years old, someone asked me where I was born and I promptly answered, “Why in church, of course.” Why wouldn’t I answer thus? I was born in the midst of a revival, and had spent most of my little life going and coming to church. My preacher father and precious mother always had family worship; from my earliest remembrance a Bible was as common around the house as a chair. Naturally, then, at nine years of age, I walked down the aisle of the church, when the invitation was given for those who desired to accept Jesus Christ as their Savior, and putting my hand in my father’s I answered the questions, which were asked me, and became a member of the church. From that day on I worked in church circles—Sunday school Christian Endeavor, a mission on the Mississippi River front. As I grew into girlhood, and then young womanhood, I prayed, testified and otherwise manifested that I was a Christian believer—an active church member—in fact, quite a religious person. I was religious—but so are some of the heathen of the world; I was an active church member—but so are some of the most ungodly people I have ever known; and certainly I prayed—I had always prayed, as I understood prayer then, but I never really expected the answers to prayer, and did not have a personal acquaintanceship with Jesus Christ. I knew of Him, but I did not know Him; I had no personal dealing with Him; He was a far-away being—silent, rather severe, and altogether uncaring except when I did something wrong, and then He was very angry (which I truly felt was the case most of the time). In fact, if I may put it exactly as I felt, He was a great judge, angry at me for my sins, and therefore had turned His face away and didn’t want very much to do with me. This conclusion had nothing to do with my father’s teaching or my mother’s training, for I was most willful and independent, and I wanted only my own way, and not God’s or anyone else’s. Most certainly I had never been born again, and therefore was not, as the Scripture says, “A new creature in Christ Jesus,” nor had “old things passed away.” When I joined the church I did not have it in mind to unite my life with Jesus Christ—I simply united it with a denominational organization. I had never had a change of heart; when I went down into the waters for baptism, I went down a dry sinner and came up a wet one! The Scripture speaks of “a form of godliness without the power thereof” 2 Timothy 3:5. As I grew older, my religion was perfect in its outward form, but there was absolutely no power, thereof. Jesus said to the Pharisees: “Ye cleanse the outside of the platter, while the inside is filthy” Matthew 23:25. In outward observance—that is, church-going, prayer-meeting attendance, public testimony, singing, and giving, my religious life was exemplary; inside, like the platter of which Jesus spoke, it was unchanged. Even as a child I watched people very closely, and the idea I gained of the Christian life from some church members, was anything but helpful. The position in which I was placed brought me into close contact with some nominal Christians, that I had, unfortunately, too good a chance to observe not only Dr. Jekyll, but Mr. Hyde. In fact, it was after a Christian Endeavor business meeting in the home of a worker, that unknown to my parents, I first learned to dance; also it was a professing Christian woman (and one whose profession was quite well known) who first put a pack of cards in my hand and taught me their names. I could mention more instances of this kind, but suffice it to say that I saw too much of what is called the “nominal Christian.” Webster says “nominal” means, “in name only.” God’s Word says, “Thou hast a name that thou livest, but thou art dead” (Revelation 3:1). No wonder I told my mother one day that I had come to the conclusion that she was mistaken about it not being right for Christians to do certain things, because I saw a number of the church members whom I admired the most, doing those very things. But unfortunately, I did not know the difference then between Christianity and “Churchianity”; between a “nominal” Christian and a real one; between a “professor” and a “possessor”; between a historical Christ and a living, personal Savior. And this is how the church is divided today—those who know of Him, and those who really know Him. No wonder Jesus said: “I know thy works, that thou are neither cold nor hot; I would thou wert cold or hot. So then because thou are lukewarm, and neither cold or hot, I will spew thee out of my mouth” (Revelation 3:15). Is it any wonder then, that when my mother died, bitterness entered my soul, and at times I almost hated God for taking her away and breaking up our home. I never talked about these things to anyone, but hid them away in my heart, and there they rankled the deeper for lack of expression. Does anyone know it, pray? But somehow I wandered away. And knew not whither to go. The dance bored me; the theatre tired me; I was sick of playing cards with a crowd that chattered about nothings. So with bitterness in my heart toward God, and dissatisfaction with the life I was living, I longed for a change—anything, just so it would bring some satisfaction. I couldn’t live on husks forever. Oh, if I had only realized then that only God can ever satisfy the soul of man; that while the body that is made from this earth can be fed from the earth, the soul, which came straight from the breath of God, only God Himself can satisfy. I matriculated in a well-known college and went to work with a will. I did not have to be persuaded to apply myself, but literally buried every thought and free moment in study. Unlike my father, I was not naturally brilliant or intellectual, but I loved books, and it was easy to study. There was one thing I believe I should say was in my favor—I had very high ideals—the result of strict early training and wonderful parental influence. Also I had a deep unselfish desire to be of service to others. I did not know how or where, but I firmly intended to give my life to some good cause; not to service for Christ, necessarily, or for His glory, but simply to alleviate the sufferings of others. Toward this goal I worked, studied, trained, and sacrificed. I had much to encourage me to start with, for I had many advantages—advantages of home-teaching and study, for my father owned an enormous library containing hundreds and hundreds of books. Before I was fifteen years of age I had had a fairly good education; advantages of travel—before I was eighteen I had not only crossed and recrossed this continent numbers of times, but had traveled all over Europe. Advantages of association—I had had not only the privilege of meeting, but of knowing personally some very great and noble people whom I had met at resort places, abroad, or in my father’s home; a number of such I had met in a period in which I traveled with my father in Chautauqua work. I mention this, because knowing these lives had much to do with shaping ideals and ambitions of later years. College days passed very rapidly. I took some work at two different universities, but it is only with one of these that my story deals. You understand I was taking work in the Bible Department of this university along with my other studies. However, this professor taught only the Bible; he was distinctly a Bible teacher. Day after day I sat under his teaching, not realizing at all, at first, that the little faith which I did have was being undermined. Stories and Scripture which I had always been taught were absolute truth; things which had actually happened, were taught as only allegories. Chapter after chapter of God’s Word which had always been taught me as facts, were set forth by this professor as myths; others were simply legendary. Many of the outstanding promises were not for today at all, and the miracles which Christ performed, could be worked by any man far enough advanced in the laws which governed them. Swiftly and surely my little faith in the authenticity of the scripture, the divine inspiration of the writers, and the divinity of Christ and His miracles, slipped away. There was a student in the class, with whom I was associated, who was far advanced along these lines of “modern thought,” many times he explained to me this new theology—just what he believed. He was more outspoken than the professor, who veiled his modernism under this cover: “Now, students, I have shown you both sides of the question. THIS is the old theology, and THIS is the new. This is the old trend of thought, and this is the modern. It is best to set them both before you in the class room.” But it was plain to tell which he believed, for he was not simply a higher critic; he was quietly, insidiously, a destructive critic. What is this new theology; modernism, as we call it? Instead of the Bible being a revelation from God, infallibly given, it is not a revelation at all; simply a bundle of legends, myths, man-made teachings, and fabrications. Instead of the historic interpretation of man—a creature made in the image of God, having a God-breathed soul within him, he is simply an imperfect beast. Instead of Jesus Christ being divine, and the Bible account of the immaculate conception being true, He is divine only in the sense in which any man or woman is divine, because He was imperfect, also. The Incarnation is dispensed with, and the theory presented that if Jesus Christ Himself were living today He would change His views. The Bible prophecies were not written by men inspired by the Holy Spirit, but are only apocalyptic fancies. Sin is not rebellion, but simply a trifling thing—perhaps even an awakening. Everything is conjecture; there is no certainty about anything, for truth is not ascertainable after all. Therefore, we are left as beasts, groping in the dark. No God-given ancestry to look back upon, and no certain expectation for the future; no sweet assurance for the present. This is a very brief summarization of the new theology; Modernism, as it was presented to me. The story is told of the consecrated old elder, who, when his pastor resigned, presented him at the farewell reception with a neatly wrapped package, saying: “This will doubtless be a little different from any of the other farewell gifts you have received.” Naturally the pastor was curious, and without waiting, opened the parcel at once, only to discover the worn faded cover of a Bible with all the inside removed. Rather taken back he inquired, “Is there some mistake? Is this the gift; or perhaps I have the wrong bundle?” “No,” replied the old elder, “that’s all you have left me of the Bible and I thought you might as well take the cover also. You see, whenever you told us something was not for today I would immediately tear it out, and other passages that you said were myths and allegories, misinterpretations, etc., I also removed along with any references that referred to them. This is the result. The covers were all I had left; you took all the rest, so I thought you might as well have them also.” Well that is just the way I felt about my Bible when I had finished my work at the university. I can remember as if it were yesterday, my little room in the dormitory where my things were spread out ready for packing. School was over and I was ready to go. I had discarded a number of things that I could not take with me, and the thought came to my heart, “You may just as well discard that Bible, for you haven’t any more faith in it as being divinely inspired; it is no longer to you the ‘Word of God’, for like the old elder, all you have left is the covers.” I did not actually throw the Bible away, but in my heart I discarded it. However, I still believed that it was the best system of ethics given to the world, and that Jesus Christ was the greatest teacher humanity had ever known. I had studied the teachings of Plato, Aristotle, Socrates, Diogenes, Buddha, and Confucius, but there was no mistaking that the teachings of Jesus Christ were far beyond any of these. So while every vestige of faith in the infallibility of the Scriptures was torn away, I still studied its pages faithfully, striving to live according to its great principles, and taking it as my code of morals. I was nothing less than an agnostic; religion was an outward form, and prayer only a pious reverie that had a subconscious effect upon the one who prayed. I was much like a prospector I heard about (and many of you have doubtless heard the story before) who was sitting one evening by his camp fire in Alaska when his companions suddenly asked him, “Jim, if you should ever strike a gold vein, what would be the first thing you would do when you could go back to the United States?” “Let me see,” said Jim, “well, I believe I would buy a good meal of fresh food—fresh vegetables and fresh meat. I am so sick of canned beans and canned sardines that I can hardly look a bean or sardine in the face any more.” Well, the day did come when Jim struck a gold vein and, his pockets loaded with money, he landed in San Francisco and made his way to a well-known cafe. The waiter brought him the menu and, smilingly Jim looked up and said, “I would like to have some of this turkey and cranberry sauce, with all the fixings.” The waiter cleared his throat and answered, “I am sorry, but the turkey and cranberry sauce are all gone. There were a great many more people here today than we expected. Perhaps there will be something else?” Jim scanned the menu again and answered, “Well, just bring me some of this chicken and dumplings; sounds like home to me. That will just satisfy.” Again the waiter cleared his throat and replied, “I am truly sorry, sir but you see we had a couple of delegations come in here on the way to the ferry and they ate up all the chicken and dumplings. Perhaps you would have something else?” This time Jim’s face fell and, frowning a little, he said, “Sure I understand. Well just bring me a good juicy steak, and have it smothered in onions. That will be fine.” Quite embarrassed this time, the waiter said, “That’s just too bad, my friend, but you see that big fat traveling man over there—well, he ate the last steak we had. Truly I am sorry.” “Well, what could you give me,” Jim asked rather tartly. “Oh, we can open up any canned goods for you,” replied the waiter. “No you don’t open up any canned goods for me,” replied the quickly departing Jim, as he grasped his grip and hat and made for the door, to where they had something besides canned goods. I quite agree with Jim, and the application made by many preachers, of this story, is so true to my own experience that it seems the illustration was written just for me. That teacher had told my hungry heart that there was no more turkey and cranberry sauce, so far as the new birth was concerned. A real genuine born-again experience? Why that was eaten up a long time ago. And the baptism of the Holy Spirit—a real enduement of power from on high? That was eaten up a long time ago by the disciples and there was not more chicken and dumplings of this sort to satisfy my needy soul. And Christ’s healing power?—Why, that was only to usher in Christ’s ministry; that was just a juicy steak that the early disciples at every vestige of, and there wasn’t even any of that gravy left. And Christ Himself?—Why, it was certainly to be understood that He was not the same today, for said, they, He is no longer the miraculous Christ, and all that is left of the generous feast that He spread in those days is just a little canned goods—canned goods that bears the labels of rationalism, formalism, modernism, etc. ; but God’s pantry shelves are empty so far as any real power and fire of the Holy Spirit, and marvelous manifestation of the Miraculous Christ, any supernatural experience that would utterly transform the life. No wonder some of us cannot look any of this canned goods in the face any more. It has so poisoned souls, and turned us, that we want nothing more to do with it; only real food will satisfy us. No matter how attractive the label on the can, we are afraid of it; only the genuine will satisfy our souls. “That’s all right parson, about my membership in your church. You don’t need to bother about it anymore.” “So you prayed about it, Sam?” asked the preacher. “Yes, sir, I prayed about it,” said the old man, “and the Lord said to me, ‘Sam, don’t you mind about not getting in that church; I have been wanting to get in there myself for about 20 years and I have never succeeded yet.’“ We smile about this as we use it for a simple illustration, but oh, what a heart-rending tragedy there is in the fact that a person can attend some churches week after week for years and never really meet Jesus Christ. No wonder then that a woman with a poor hungry heart left on a “modern” pastor’s desk one day, this little verse of scripture: “They have taken away my Lord and I know not where they have laid Him.” This pastor dispensed his “canned goods” in the most beautiful manner possible. One felt so intellectually uplifted after hearing one of those mighty discourses, but the heart was hungrier and emptier than ever. True, there were churches at that time that had the warmth and power, the very fire of the Holy Spirit; you will find them in every denomination where Christ is lifted up, men’s hearts are blessed, and lives transformed. Had I found such a church at that time, perhaps this story would never have been written. I am ashamed to tell you that in this condition of heart and soul I went out as National Field Secretary of one of the largest missionary organizations then chartered by the United States government. I traveled from state to state, organizing boards, speaking at mass meetings, and nearly every Sunday would speak in some one of the churches at the morning service. At such times, I always used the Bible, my system of ethics, but I did not believe its fundamental truths any more than any agnostic believes them today. I did not partake of its promises, nor believe they were real and practical any more than any modernist believes them today. An agnostic in the pulpit? But is that so uncommon today? The time was when men stood outside the church and threw mud at the Bible; today we have many destructive critics who stand in the pulpit and throw mud at the most sacred teachings, the fundamental doctrines of the Divine Word. Surely we are living in that day of which God’s Word speaks when it says, “The time will come when they will not endure sound doctrine, but after their own lusts shall heap to themselves teachers, having itching ears.” And that other scripture which says: “And their mouth speaketh great swelling words, having men’s persons in admiration because of advantage” (Jude 1:16). While in the work of which I have spoken, I was stationed for a while in Reno, Nevada, and there I met Mr. Berg, my husband, who was afterwards to play so large a part in the most marvelous experience that ever came into my life. When my work was finished in Reno, Nevada, I went on to Ogden, Utah, to complete some unfinished work there. Mr. Berg hurried to Ogden, as I was soon leaving for the far east, and there we were married in a little Methodist Church at the close of a Wednesday night service. Mr. Berg (whose name in full is Hjalmer Emmanuel Berg) was a very sweet singer, and shortly after this, my father invited us to go on an evangelistic tour with him, Mr. Berg having charge of the music. It was during this revival period, under my father’s preaching, that Mr. Berg volunteered for the ministry. However, he had had since childhood a sincere faith in the Word of God, and with a strong Christian background, had carried through life an unshaken faith in Jesus Christ as the Savior. My husband did not know my religious convictions when he married me, and never suspected the unbelief that was in my heart. In fact I never told any one of the doubts that had come to be a very part of my existence and changed my entire views of life. Mr. Berg decided to go to Drake University at Des Moines, Iowa, to study for the ministry, and there in a happy little home, I knew again the joys of home life. I had lived so much in the glare of public life that I was sick of it; it was so restful to be hidden away in a quiet spot; afternoons alone for reading and resting; quiet evenings at home in the cozy chair beside the lamp, sewing, reading, conversing with my companion, and sometimes a little music. I hoped it would go on thus forever. I never wanted to see a platform, pulpit, footlight, glare, publicity, or advertising again. That was all in the past. You see, the work I had done in service for others, had not been done in Christ’s spirit or for His glory, but often with a selfish motive and personal ambitions. Therefore, there was no real joy in it or any lasting satisfaction; so the taste of it turned to bitterness in my mouth. Henceforth, I would live for myself and by myself (except for my family, of course) the rest of my life quietly hidden away. But God had ordered otherwise; He had His hand on my life. My whole life had been fitted, trained and educated for service; not only in the early days under my unusual father, but my schooling, and then the practical experience in the missionary work I have spoken of. And the Lord was not going to lose a soldier from His ranks but was going to take the material He had on hand and make a better one! The Bible says, “The vessel was marred in the hands of the potter, but he made it again.” So God marred my life, that He might make it again. Like Jacob of old, God has to cripple some in order to crown them; crush them in order to create them anew. So these were the records that memory brought down and unrolled before me as I lay utterly helpless and quiet; while the weary days dragged by and joined the long procession of yesterdays that soon lengthened into years—years of such agony that words fail to describe them. Sometimes there were rapiers of pain that tore and racked the weakened body; then dull, steady aching, while nerves quivered and burned like flames of fire; then, gasping for breath, suffocating, choking, as a great hand seemed to seize the already sore weak heart and wring it until each beat came broken and hesitating; then convulsions, while arms and limbs drew and cramped until the frail body could stand the agony no longer, and exhausted, the feverish brain sank into welcome unconsciousness; unconsciousness until the scattered forces again gathered a little strength and dragged on to new battles of agony. Hypodermic needles were always at hand—narcotics—stimulants—until at last the tiny flame of life burned so low that it responded to none of these, and it seemed that just a breath would fan it away. But God was watching that tiny flame—shielding it with His hand—working out His own purposes, and it was not His will that it should flicker out. Hospital after hospital; sanitariums; long journeys on stretchers as hope grasped at some new straw; physician after physician, (how kind they were—how sacrificial—how hard they tried, God bless them) but each gave the same answer, “This case is beyond human aid”; “I am sorry—there is nothing more that I can do except to make her comfortable until the end comes.” “Comfortable?” that was the one thing that no one seemed able to do. Why, even the rubber cushions upon which my poor broken back was resting seemed at times like rocks. How weary the days—but oh, how long the nights! Surely the scripture was true in my case: “In the morning thou shalt say, Would God it were even! and at even thou shalt say, Would God it were morning” (Deuteronomy 28:67). Through the long nights I could hear only the soft pat-pat of the nurses’ feet down the long hall, and as loneliness and despair took hold of me, a darkness deeper than the night would settle down on my heart and I would long for death; but quick on the thought I would cry, “No, no; I cannot die—I am afraid to die,” and a horrible fear of death would fasten upon me, as it had hundreds of times. Afraid to die? Horribly afraid—yet dying! A leap in the dark? Yes—and alone! Can human language express the depths of human suffering? Mine cannot. Can one who has tasted death, hell, and ghastly fear, return, and with mere words, express what he has passed through? I cannot. God alone knows; may you never know. In an old-fashioned parsonage in northern California I came to the end of the trail; the end of searching for help, the end of resources, the end of help. During those last few months I was more nearly dead than alive; more unconscious than conscious—it was the end. I had reached the limit of endurance, when one day Mr. Berg came quickly into my room and, kneeling by my bed, said in a strange, happy voice: “I have just made a wonderful discovery.” “Yes?” I whispered, too weak to take much interest. “I have found,” he said, “that Jesus Christ is the same yesterday, today and forever.” It wasn’t what he said that interested me, but his excited, earnest manner. He seemed deeply moved, and I listened curiously to what he told me. “You remember some time ago a little book that I gave the nurse to read aloud to you? A little book about answers to prayers? (It was a book written by A.B. Simpson, a Presbyterian minister, and told of God’s marvelous dealings with him when seriously ill and how he was miraculously delivered. See note at the end of this chapter.) You remember how you forbade the nurse to read any more after the first chapters, because you said it was ‘the utmost fanaticism and that any one was a fool to believe such stuff?’ Well I believe it—every word of it—and I have looked up all the Scriptures he referred to, the promises he claimed when he received his wonderful answer to prayer, and I have come definitely to the conclusion that those promises are for us today; they are real, and God means just what He says, and if we will really believe Him He will keep His Word and give us the desires of our heart. I’ve spent a couple of days marking the promises in my Bible and studying all about it and I can’t find where any of them have been cancelled; they are for us today just as much as for those back there in Bible times, and better still, Christ has never changed—He’s exactly the same as He was back there; the same love, the same compassion, the same power; ‘Jesus Christ the same today and forever,’ the Bible says. Oh, it is wonderful; I can’t understand why I didn’t see it all before.” I marveled at his earnestness, for he was deeply moved. His face was aglow, his eyes alight, and his manner that of one who is deeply thrilled over a wonderful discovery. But I was hardly interested in what he said. In fact, to me, he seemed to be exercised greatly over nothing. God had in some wonderful way brought new light to his heart, opened his mind, and illuminated His Word to him; but such was not my case. God’s Word says, in Ephesians: “They were darkened in their understanding, alienated from the life of God.” This scripture could truly have been written for me, for I had no faith at all in what he said; in fact I rather feared that he was getting into some kind of fanaticism. But Mr. Berg was not easily discouraged; there had come into his heart such a living, vital faith that he expected, and was determined to see, on my part, a complete change of heart and full restoration of body. I can truly say he prayed day and night—hours upon hours at a time; I can see him now, kneeling beside my bed praying, and then singing some of the old faith hymns. He would pray for a season and then sing a while, then quote the promises of Scripture to me. Night and day he endeavored to bring to my heart the same faith, light, and assurance that had broken into his. I can remember so well marveling at his earnestness—the intensity with which he persevered and prayed; surely here was such a case as the Scripture speaks of viz., rugged men of faith “take the kingdom of Heaven by violence.” As I look back now I cannot understand how his body ever stood the strain. Many times as I awakened in the early hours of the morning, when the first rays of the sun were just creeping up over the top of those California hills, I would see him there still kneeling, sometimes with hands lifted to Heaven—again with head bowed upon the bed. It made my heart ache, for it was all so hopeless to me and I dreaded the disappointment and discouragement that I thought would some day be his. To me the Heavens were brass, and the hours of kneeling, and nights of lost sleep seemed so useless. But how true is that wonderful verse in James 5:16: “For the effectual fervent prayer of a righteous man availeth much.” And soon there stirred in my heart a tiny flame of hope—so small it was hardly worth mentioning, but I listened to his praying, reading, and persuading, with more interest and openness of heart. He marked in an old Bible of mine the best of the promises, and called them “Stepping stones of faith.” These he patiently taught me; as I could not read, he read them to me over and over, insisting that I must memorize them. It was the same with some of the old faith hymns; he had memorized them himself and verse by verse kneeling by my bed, he would sing them by heart. I told him once I thought he could sing “How Firm a Foundation” backwards. Precious old hymn! It is most dear to my heart today because of the memories entwined about it. Every time I hear it sung, that scene comes back to me. To you who for refuge to Jesus have fled. Standing on the promises of God. Standing, standing, I’m standing on the promises of God. At times, when I would seem to be slipping out of this world, and it looked as if his prayers and efforts were all in vain, he would put up a fight as real as any soldier ever fought on the battle field, standing over me quoting promises, and using them in the same manner, and with the same earnestness that a soldier would brandish a sword while forcing back the foe. To my poor, dull mind, it seemed at times that he was fighting a tremendous battle against unseen legions. And indeed it was true, for I can understand now that the powers of darkness also fought for my life, As I would sink away into unconsciousness I would hear him say: “It is Thy Word, Lord, and it cannot fail; these are Thy promises, and I am holding on to them, and I expect Thee to keep Thy Word. The scripture speaks of “the fight of faith”; it says, “Fight the good fight of faith,” and surely that little bedroom in that old parsonage in California was a real battle-ground, and the man fighting the battle had no intention of giving up. NOTE: Following are a few quotations from the writings of A.B. Simpson, whose book the Lord used so greatly for our blessing and whose life of faith has been the inspiration of thousands. This was “the faith once delivered unto the saints.” What has become of it? Why is it not still universally taught and realized? Did it disappear with the Apostolic age? Was it withdrawn when Peter, Paul and John were removed? By no means. It remained in the Church for centuries, and only disappeared gradually in the growing worldliness, corruption, formalism and unbelief. The causes of disease and suffering are distinctly traced to the Fall and sinful state of man. If sickness were part of the natural constitution of things, then we might meet it wholly on natural grounds, and by natural means. But if it be part of the curse of sin, it must have its true remedy in the great Redemption. That sickness is the result of the Fall, and one of the fruits of sin, no one can surely question. Death, we are told has passed upon all, for that all have sinned, and the greater includes the less. From The Gospel of Healing, by Dr. A.B. Simpson, Founder of the Christian and Missionary Alliance. One evening as I was left alone while Mr. Berg was out making some sick-calls and the nurse was busy in the kitchen, there suddenly came into my heart an intense longing—I felt compelled to cry aloud to some unseen power for help; I could not raise my voice above a whisper, so in an earnest whisper I pled, “If it could be possible that there is a God out there somewhere—reveal Yourself to me; if You are there You have heard what my husband says and how he prays, and You can reveal Yourself to me.” I seemed driven by some power beyond myself to call and call, and so, over and over I repeated, “If You are there, please oh please, for mercy’s sake, reveal Yourself to me.” As though in response to my plea, a deep conviction of sin came over my heart; I felt as though I were the vilest of sinners. This was unusual, for the simple reason that I had always been rather self-righteous; I had lived a very moral life, and was quite proud of it—very self-satisfied. Whenever I looked back on my past life and remembered the mission work I had done, I was quite content; for had I not risked my life in certain types of rescue work? Even when I had come right to the very gates of death and a great fear settled on my heart, I would call to mind and take much satisfaction in the thought of those years of sacrificial service; but now they looked like “filthy rags” to me. It was as though my eyes had suddenly been opened and I saw myself in my true condition for the first time in my life—my past works appeared as nothing. My service had not been as unto Him, or my motive that He should be glorified. The burden of sin and self increased until it seemed greater than I could bear, and at length I began to weep. I wish I could tell you just what took place at that time in my heart, but it is absolutely impossible. The new birth is a mysterious, supernatural work which is done by the Lord Himself, and I cannot tell you how He did it, but He completely changed my heart! That evening lying there on that bed, alone, I was born again, as a definite result of faithful, believing prayer. It sounds so simple, so trite, to just say, “I was changed”; “I was born again,” but I would belittle the wonders of God’s working and the miraculous transformation that took place that evening if I were to attempt to describe them in detail. I can only say, as did the blind man whom Jesus healed, “One thing I know, that, whereas I was blind, now I see” (John 9:25). Jesus said to Nicodemus, “The wind bloweth where it listeth, and thou hearest the sound thereof, but canst not tell whence it cometh, and whither it goeth; so is every one that is born of the Spirit” (John 3:8). Thank God for one who was willing to hold on in prayer until God sent the answer. Even with this wonderful victory my husband was not satisfied; he wanted not only my soul saved, but my life saved, also. I did not have to tell him of the change that had come, for he could easily see it, but after we talked it over he said confidently, “Now the Lord is going to restore your health also, and raise you up from this bed.” “You mean that He is going to heal me?” I asked, for while He had become so real to me, yet the idea of Christ working any miracles today was still beyond my comprehension; I truly did not see how such a thing could happen today; it was almost inconceivable to me. I thought back and tried to remember if I had ever met anyone who had claimed that God had definitely done such a thing for them; so far as I could remember, I could not recall anything of that nature. Of course I had known something of the new healing cults, but to simply take a promise from God’s Word and utterly trust Him to fulfill it, was something I knew nothing about. True, I had seen a demonstration of claiming God’s promises—in that very room—in my husband’s prayers for me, resulting in my own change of heart; certainly he had claimed the promises of God and God had heard and answered, but could it be that those promises were as real and practical as that in everything? Did I have only to write my name under a promise and cash it at the bank of Heaven? Could it be possible that even health could be restored by claiming one of those promises and appropriating it? It seemed impossible that the Lord could have given us such a privilege; trusted us with such power. I can never forget that day when it dawned upon my consciousness a reality, a fact, that the promises of the Bible were practical; could actually be applied to my everyday needs. It was a revelation to me. I understood now what Mr. Berg meant, and why he looked so happy that day when he came to my room and said: “I have just made a great discovery.” I understood now because I had made that discovery myself. I knew now that God meant exactly what He said in the numerous promises given in His Word and that He would fulfill every one of them to the letter, if faith would reach out and claim them in a definite manner. God’s Word said, “Whereby are given unto us exceeding great and precious promises: that by these ye might be partakers of the divine nature, having escaped the corruption that is in the world through lust” (2 Peter 1:4). So after all it is a very serious matter to either overlook or look lightly at the promises of God, because by these we become “partakers of the divine nature.” I would never dared to have taken a promise and stepped out on it expecting God to really meet me, for to my limited faith-knowledge they were only beautiful Scripture-language, never meant to be taken seriously or for practical application. I fear I was like the woman who asked. “Well, why do you think God put all these promises in His Word? What are they for?” “Why just to fill up space,” I suppose. This was surely my trouble when it came to the promises in God’s Word. I thought they were just pretty pictures, just beautiful language. For instance the twenty-third Psalm: “The Lord is my shepherd, I shall not want. He maketh me to lie down in green pastures: He leadeth me beside the still water.” To me this was just beautiful poetry, a picture story. I never dreamed for a moment that it had a literal application; that Jesus would be to us a shepherd and fulfill in our experience every verse of that Psalm, if we really trusted Him. What a pity that so many today look upon the hundreds of promises in God’s Word in the same manner as I did. There was one very serious hindrance in the way of my recovery and that was the fact that I did not at that time have a genuine desire to live. Since my “change of heart,” all fear of death had been taken away, and I was literally homesick for Heaven. I had suffered so much that life had lost its attractiveness; while through my new experience Heaven had become more attractive. I, who had once looked upon Heaven as such an unreal, imaginative thing, now believed it to be as real as the world in which I existed, and ardently longed for its rest and blessings. The Lord Himself had grown so precious to me, and the very thought of seeing Him face to face was so wonderful that I felt I could hardly wait. What marvelous transformations prayer can work!—one day fearing death until I was in cold sweat; the next, all fear gone, and in its place a longing to cross death’s borders into a better land. I was homesick for Heaven, but Mr. Berg said to me: “Have you never thought that the Lord may want to use your life, that you must life for His glory? If He were to raise you up from this death bed, think how many people’s faith would be strengthened! Don’t you want to glorify Him?” That was so wonderful that my heart leaped at the very thought—the thought that I could in any way glorify His Name, in any way be of service to Him. How rejoiced I would be if I could do the least thing for Him! He had done so much for me and I loved Him so much that my heart simply thrilled at the thought. That night when a helper in the home was reading aloud to me, (having opened the Bible at random) she read, amongst other passages, the following: “This sickness is not unto death, but that God might be glorified.” That verse struck my heart as if God Himself had spoken to me. For hours it rang through my heart until at last I said: “Oh, Lord I have said I would gladly die for You, but instead I will gladly live for You; now give me the faith for life—the faith to claim Your promises, and raise me up from this death bed.” That night when Mr. Berg came into the room I said to him: “I am going to live for the Lord, but you will have to pray that He will give me the faith, for it is truly beyond my comprehension how He can raise one up who is in the condition that I am in; who is so unworthy and whose faith is so small.” Oh, indeed He was real and precious to me, but to think of Him working a miracle like that today was a real leap of faith beyond anything I could conceive. During those waiting days I fell asleep committing promises, and wakened repeating them. I did so much want to have the faith, the right kind of faith, and as big as I thought it should be to get such a wonderful thing from the Lord. I wanted to do my part. If I had only known then that the faith that gets things from God is not some “great big thing” but simply taking God at His Word. I want to take time to tell a rather unusual and interesting incident that occurred at this juncture. There had been visiting in my sick room from time to time a minister of the Gospel, named David Catchpole, a very consecrated man of God. He was the pastor of the Baptist Church, one of the largest and strongest churches in our city. Brother Catchpole, best of all, believed the Word; he was no Modernist. A doubting Brother: (I refrain from mentioning this pastor’s name. He was greatly exercised as he spoke and seemed much disgusted): “Well, from what I can gather, some of you preachers believe that Christ still works miracles today and you take these promises quite literally. All right, I have a suggestion to make, which is somewhat in the nature of a challenge. In there in that sick-room lies Mrs. Berg, one of the most pitiful invalids I have ever seen; I met her doctor on the way over here and I stopped him to inquire how she was. He answered, “It is amazing to me how that woman lives on in the condition in which she is and being able to take so little nourishment. Every time I have heard the phone bell lately I have thought: ‘Well, this is the end, and Mrs. Berg is gone.’ Why, that woman’s life doesn’t hang by a thread—but by the barest hair.” Now brethren, I believe what her doctor says. you believe all this tommyrot. Let’s put it to the test. For my part, I want it clearly understood that I don’t agree with some of you. Why any fool knows the day of miracles is past. All right. There lies Mrs. Berg in there—a hopeless case; we’re all agreed about that. Now if you believe this stuff, try it on her.” And with that he walked towards the door and opened and closed it with a bang as he left the meeting. I desire to say at this point, before I finish my story, that they “tried it on me,” and the next Monday afternoon at 3 o’clock I was in the ministerial meeting, “every whit whole,” and as happy and hopeful as any sturdy man there! NOTE: I want my readers to know that I have more sympathy than censure for the man who left the room, and those who hold similar views, because I know there has been so much false teaching today along these lines; so many “cults” and “isms” and “sciences” that have made so much of healing, until you can hardly blame people for shying at the word. You will note I have tried to avoid it, in telling of my wonderful experience, because I do not want to be connected in any way with these healing cults or philosophical groups. We have never had any connection, nor do we want to have, with anything but the unadulterated Word of God, simple, old-fashioned faith and the promises of God set forth just as they are in His Word. However, just because these “philosophical societies,” “modern philosophers,” and “sciences” have taken some precious Scriptures and a few principles of faith from God’s Word and wrapped about them unscriptural teachings and presented them to the world as new teachings, should not keep us from appropriating God’s precious promises, or turn us against these very principles of faith which they have stolen. True, there are “bloodless” religions that take a part of the wonderful whole and distort it beyond recognition. Thousands upon thousands of people have left our churches seeking mental and physical relief in these modern cults, just because this little grain of truth, i.e., the principle of faith, has been enlarged upon and explained to them for the first time by these cult leaders. Like dying men grasping at a straw, they see hope where there has been despair. They do not see however, that with this grain there is mixed so much that is false, that by accepting it from such questionable sources they involve themselves in a denial of some of the foundation truths of Christianity. Poor deluded hearts, they do not realize that the enemy of our souls often uses truth from the Word of God, and mingles it with error; thus striving to make a counterfeit religion. Thousands accept the counterfeit because it has Scripture in it. But we of the churches have neglected this mighty principle of faith, and as a result, thousands leave our groups and join the great temples of these cults. Some one has wisely said: “A sick sheep will follow anything or anybody.” Why do we not pray for our own sick? Our churches would be enlarged, our own faith strengthened, and wonderful things done in the name of the Lord if we taught these dear sick ones the way of faith. Let’s pray for our own sick. Now it was rather strange that I had chosen that last promise, for I had never seen anyone anointed; it had never been a custom in my own church and I had never met anyone personally who practiced the custom. But I pinned a great deal of faith upon this passage because it said: “If any among you are sick, let them call for the elders of the church and let them pray over him, anointing him with oil.” I felt that this was such a detailed prescription, set forth so definitely, that I knew just how to proceed; I felt also that I had all the ingredients for this prescription: First, the verse said, “If any among you are sick,” and I was surely sick. Second, it commanded: “let him call for the elders of the church,” and here were two elders; two ministers of the gospel. Third, it said: “and let them anoint him with oil”; I also had the oil ready. And the fourth ingredient? “The prayer of faith”; and I surely felt if any one could pray—that Mr. Berg could. In reference to this passage in the fifth of James—I knew, as a Bible student, that the book of James was written long after Christ’s ascension, so it could not be said that it was written just for Christ’s day; but that it was written for a well-organized church after Christ had left this earth, it was an ordinance for any church today. “I am ready now,” I said, and quoted the promises just mentioned. Brother and Sister Catchpole reached over and laid their hands on me while Brother Catchpole quoted some passages of Scripture. There was a deep hush in the room, for every one seemed to feel a solemnity and responsibility upon them. Then Brother Catchpole anointed me upon the head and quoted James 5:14–15, at my request. Then Mr. Berg prayed “the prayer of faith:, and truly it was a prayer of faith. I believe there are only a few times in a life that we ever hear such a prayer. It was not a stilted, formal affair, I can assure you, for he simply “talked” to the Lord, telling Him that we had put our all on the altar, and sought only His will; and now there was nothing more to be done, but to depend absolutely upon Him and expect Him to keep His Word. There was a finality about the prayer, decisiveness, and utter committal that simply closed the matter, and seemingly left the Lord with nothing else to do. In fact the prayer startled me just a little. It seemed to have a note in it that would correspond to that verse of Scripture that says, “Command thou me.” I had been pleading and begging the Lord, and to hear some one apparently walk right up to the gate of Heaven and say: “You said you had a parcel for me and I have come for it,” rather amazed me. But there was such a sweet earnestness and childlike faith about it all that I was sure the Lord would understand. (I have perfectly understood it since, myself.) I strained to see Mr. Berg’s face as he prayed, but as I have told you, I was fast going stone-blind and could see only the dim outline, but the prayer that I heard touched the depths of my heart, and I did not see how God could help but answer. I was depending on Mr. Berg’s faith. I was so weary with the extra exertion of having guests in the room, that I was left alone for a while to rest; in fact I was perfectly exhausted from trying to work up a great big faith to meet the occasion. I still had the idea that faith was some big thing that must be presented to the Lord in just the right way—like a bundle perfectly wrapped, tied, and delivered at exactly the right moment. When it was all over, as I have said exhausted with the effort, a real fear came to my heart, for I felt somehow that my faith had not been quite big enough; that it had not been built up to quite the pitch necessary to meet the demand. You see, I was looking down at my faith, and not up at the Promises of God. I was expecting something from my poor self, and my expectation was not all from Him. The appointed day had come and gone: the expected prayer had been offered; I had obeyed the Scripture, but nothing had happened. Instead of being better, if anything, I was worse. In fact, a couple of hours later it seemed as if I should slip over the brink; for I would have you know, though I have spoken of these days of preparation, conversations, visitors, etc., yet my condition was unchanged. I was just as helpless and more so. I could only whisper very faintly; in fact my eyes, lips, and right arm were the only parts of my body that I could move with any freedom. As I thought of my horrible condition, and saw that I was no better, hopes began to die, bitter disappointment and sorrow gripped my heart; I wept bitterly. Mr. Berg had left the house to be gone for several hours. The trained nurse who had been on the case had quit unexpectedly a few days before, saying it was utterly ridiculous to expect the Lord to work a miracle in these days and that she was not going to have a part in any such foolishness. There are some folks who are always so determined to bury you, but who are not willing to give God a chance to keep you alive. A dear Hawaiian woman, who now had to be both nurse and housekeeper, often came to my door to sweetly inquire if I needed anything, but for the most part I was left alone with the Lord. A bell was suspended in such a manner that I had but to lift my hand and I could tinkle it, calling for help. I was glad to be alone—I wanted to think it all over. I would never be satisfied until I knew why the Lord had not answered Mr. Berg’s prayer. There was no bitterness in my heart, but there was a deep hurt. since the wonderful change had come into my heart and I had grown to know the Lord, I had many seasons of sweet communion with Him. These seasons were just as real and precious as talking to one’s dearest loved one face to face. I positively knew that the Lord heard me when I prayed. No earthly conversation had ever been more natural—more genuinely real than our little talks together, and so I determined to talk this matter over with Him, and ascertain just where the trouble was. So I prayed thus: “Dear Lord, we obeyed Your Word to the very letter; we claimed Your promises and believed them; my husband prayed the prayer of faith and he really expected me to be healed, but not a single thing has happened; I am just as ill as ever, if not worse. Now dear Lord, tell me just what is the matter; tell me where the trouble lies. I am not only concerned about myself, but Your reputation is at stake. Five of the different churches had prayer meetings for me when I was prayed for and You know about that ministerial meeting, also; and here are these other preachers that have prayed for me—Oh, Lord, it will hurt Your cause; people will lose faith. Please talk to me as You have before, and I will try so hard to understand. Amen.” (It is strange how concerned we get about God’s reputation. I have found since then, however, that He is perfectly able to take care of His own reputation.) I committed the matter definitely to the Lord and felt in my heart that He would not leave me in the dark, but would answer my prayer and let me know in some way why He had not healed me. At that moment there was perfect wonderment in my heart that I could have been so blind as to have wanted some evidence before I believed—which is really wanting to walk by sight and not by faith; wonderment that I did not see before that it was simply so because God had said so and that was enough. My heart leaped with joy and there was born something in my soul then, which has never changed one fraction from that day to this—an abiding, unshakable confidence in the Word of God. Again and again I whispered aloud: “It is the Word of God; it cannot fail. It is God’s Word; He cannot lie.” I seemed to see this marvelous Word of God marching down the centuries of time, indestructible, though so often assailed; torn by critics and burned by enemies, yet standing the test of time and persecution, still unchanged—indestructible, infallible, inexhaustible, wonderful Word of God. What a joy came into my heart—an ecstasy unspeakable, for I was healed, so far as God was concerned—and it had to be so, because He said so. Oh, it was unmistakable; I could not, would not, doubt His Word. He said, “Believe that ye receive it and ye shall have it,” and I did that very thing—I believed that I had received it and I did have it! Nothing could make me believe otherwise! At that moment it did not strike me strange at all that I could neither move nor see; that I was utterly helpless, dying, yet I was rejoicing that the Lord had restored my life and health and made me every whit whole. Then the thought came to me according to the passage in Romans: “Abraham gave glory to God, knowing that He was able to perform that which He had promised.” I would do likewise. This seemed to be, according to the Scripture, the next thing that I ought to do—just simply praise God for His wonderful answer to prayer, and the marvelous gift He had given me. So I whispered: “Glory to God; glory to God.” Over and over again I repeated this phrase. This is what Abraham had done. The familiar phrase, “Praise the Lord,” never entered my mind. If you received a telegram saying that you had fallen heir to a vast fortune, which would solve your many problems and the needs of your loved ones, you would hold that telegram to your heart and rejoice beyond words. Well, I had received such a telegram, and I held those promises of Scripture to my heart and rejoiced with a “joy unspeakable and full of glory.” Then—wonder of wonders! I suddenly noticed that both arms were lifted! That arm that had been helpless was really raised, praising the Lord; raised to its full length up in the air! I looked at it as you would look at some strange thing; felt it with the other hand; put it up and then down, back and forth. It was just as good as the other arm! And I could see perfectly! The dimness had vanished from my eyes! I was turning my head from side to side without thinking! I also moved on the bed without any one to help me! I was laughing and crying at the same time—weeping with joy! Quickly I turned and rang the little bell that hung by my right hand, and Mary answered immediately. She stopped in the door and stared as if she could not believe her eyes. “Quick Mary,” I said, “get some pillows and prop me up. I am going to sit up right now. Please hurry.” I do not know why I did not make the effort to rise from the bed that moment and walk, as I did a few minutes afterwards, unless it was because of a lesson the Lord wanted to teach me, which I tell you of later in the story. The dear woman, not understanding at that minute, frightened and anxious propped me up on the pillows and then went to the phone and called the doctor. * NOTE: “The death walk” is an expression used by some people to designate that peculiar influx of strength that sometimes comes to a dying person. People have been known to sing, pray, give parting messages to loved ones, etc., when a few hours before, they had been unable to speak above a whisper; even unconscious. But when she saw how desperately in earnest I was and that the Lord was really working in that room, she went out and closed the door, but I could hear her just outside, and I believe that she was crying. My discussion with Mary had gotten my eyes off the Lord for a while, and something of that fear that was in her heart and the doctor’s, touched mine for an instant. I have not space to tell of the terrific test of faith through which I passed for a few minutes. Peter said: “That the trial of your faith, being much more precious than of gold that perisheth though it be tried with fire, might be found unto praise and honour and glory at the appearing of Jesus Christ” (1 Peter 1:7). Now after these many years I can understand why He let me pass through that trial of faith, but then it was very severe and I did not understand. One thing I did understand and that was that God’s Word was true and it could not fail, and with each testing I would say: “It is God’s Word; it cannot fail. It is the living Word of God and I need not fear.” When the fire of testing was at a white heat, so severe that I could hardly stand it, doubts and fears assailed me as if the legions of hell had broken loose and determined to tear down the testimony of God’s Word. Some months before, I had laughed at a friend’s conception of the devil as a real person, a leader of the forces of darkness, but at that moment I was convinced that those forces were determined I should not receive the blessing I sought. I knew that my fight was “not against flesh and blood, but against principalities, against powers, against the rulers of the darkness of this world,” but there was in my heart such a deep settled confidence in the veracity of God’s Word that nothing in the world could shake it. To every temptation, every test, every fear, my heart answered: “It is God’s Word; it cannot fail.” And when the thought came to me at last, as though from the very pit of hell, (the testing had become so severe), “Just how long are you going to believe God’s Word without seeing any evidence?” I answered in substance: “It is the Word of God and I will believe it—even though I never see any evidence. I will believe it simply because God said so, and that’s enough.” I could not help but think of that verse of Scripture where Jesus said to Peter: “Satan hath asked that he might sift thee, but I have prayed that thy faith will not fail thee.” and at that very moment I was healed! At that very moment the Lord let me see that for which I had been believing. The paralysis had gone from my body! I felt cool and rested and sat upright in the bed. That will be mine nevermore. My own footsteps on the floor. Taught a little child to walk. But I did hear that music; I was walking; I heard “my own footsteps on the floor.” Of course I kept my heart lifted to the Lord every moment, for I felt that like Peter of old, if I took my eyes off Him for one moment the waves would engulf me. So many loved ones asked me at the time: “Just how did you feel when that happened? Tell us exactly how you felt.” There was nothing really unusual about the way I felt physically; I simply felt happy and normal, but there was one thing that stood out in my consciousness above everything else—and that was the “nearness” I felt to the Lord. That I cannot describe—I simply felt His presence so real, so near, that I would not have been the least surprised had I seen Him with my natural eyes. The supper bell rang and I said to Mr. Berg: “I’m hungry. What can I have to eat?” And smiling at my earnestness he answered, “Well, I should think that you could eat anything a normal woman could.” “All right,” I said, “I am going to eat a real supper, because I am sick of just ‘nourishment’“; for at that moment Mary brought into the room my glassful of liquid “nourishment” and the glass tube, through which I drank it. I looked at it for a moment, in my heart saying good-bye to it, and said aloud: “There’s a lot of difference between real ‘eats’ and ‘nourishment.’“ And what do you suppose they had for supper?—fried hamburger, fried sauerkraut, and potatoes fried in pork grease! I ate heartily, and every bite that was set before me, and did not feel the least ill effects as a result. That night I slept all night on my left side—slept like a child. Mr. Berg said he came to my bed a number of times in the night, only to go away praising the Lord more intensely each time, as he saw me sleeping restfully and quietly on my side for the first time in years. The next morning I walked to church and spoke to the audience that was gathered there…the church of which my husband was the pastor. “Within three weeks after the closing day that Mrs. Berg mentions in the last chapter of this book she was doing all of her own housework, making sick calls, and ministering continually to others. In about two months she was out in definite Christian service. It is absolutely necessary when we are asking God for something, that we have the authority of His Word upon which to stand. We must get hold of His promises and not only commit them to memory, but get them deep down into our hearts—ingrained into our beings. We must find the authority in God’s Word, and then faith will come of itself. You can never have faith for anything if you are not sure God has given you authority to ask for it; so it would be impossible to stress too much the need of committing to memory some of the outstanding promises. Here are a few that have been standbys of many faith-warriors for years; I supply the texts and you may look them up for yourself: Mark 11:24; Mark 9:23; 1 John 5:14–15 and Jeremiah 33:3. You may not be able to commit a great many promises, but even one or two will so strengthen your faith in time of need that you will wonder how you ever got along without knowing them before. There must be definiteness in our transactions with God. He has been definite with us, giving us very definite promises, stating them in very definite terms—so simple that a child can understand them. You must be definite with Him. We are definite in our business dealings with others—especially in any matter of importance that involves a money transaction. How careful we are to have a perfect understanding. We say we are “making a deal” or “closing a deal” with a person, and there comes a time when we write our name on the dotted line and in a very definite, careful manner, we close the deal. Just so, there must be a definiteness in closing a deal with God. There must be a definite moment in which we, so to speak, write our name on the dotted line under His promises, take Him at His Word, and close the deal. At that moment it is done—we drive the stake down and forevermore count it a closed matter. Our whole attitude is changed — hope has changed to faith. Faith—the belief in things not seen. Oh, what a pity that we can take man’s word easily and be so definite in our transaction with each other, and yet be so indefinite in our transactions with God—so wishy-washy—as though prayer were some sort of form through which to go, but without any real meaning. Let us be definite with God! There is more failure in the prayer life than along any other line, for the simple reason that we start so many petitions and never wait for the answers—just keep sending them up and sending them up without any real expectation of getting the answers back, until the muscles of our souls become flabby because we do not exercise our powers of receptivity. There are two different kinds of Christians—those who pray and really expect to see something happen, and those who just pray but do not expect anything to happen. Prayer is first a means unto an end; a connecting link between human needs and Divine resources; the cry of the child unto its’ Father, with the EXPECTATION that the great Father-heart loves to give to them even more than they love to receive. There are some of the most exemplary Christians, in whose lives one could hardly find a flaw, yet they rarely get things from God, simply because they fail along this very line; they lack this expectancy; they do not know the least thing about this mighty principle of faith. There is love of God, and deep confidence in the Bible as being truly the Word of God, but so far as any actual expectancy is concerned there is none. How pitiful—how it must grieve the heart of the Infinite—for His child to pray on and on and on, but never display a genuine expectant attitude. “Whatsoever things ye desire, when ye pray, believe that ye receive them and ye shall have them.” “When ye pray—believe.” It is simply amazing how many people, who, after having asked God to do the giving actually expect Him to do the taking, also. We want Him, without the least effort on our part, to come right down and lay it in our laps; and this He will do—but on His own conditions, and those conditions are: “believe that ye receive them, and ye shall have them.” He has a right to set down His own conditions, and what less could He ask than that we honor Him by believing His Word? His Word has not said that without perfection it is impossible to please God, but it does say that without faith it is impossible to please Him. If there is in your heart today a desire to please God, just honor His Word by believing for something that is impossible for you to obtain of yourself. Just take a step of faith out on the impossible! “Faith is the substance of things hoped for; the evidence of things not seen.” But that which waits to see before it believes, is not faith. It is not what we see, for the “just shall walk by faith”; it is not what we feel, it is what faith claims; it is not what we think about it—it is what God says about it that counts. Faith puts the thing in the past and counts it done; it is done simply because God says so; we have it now. “But,” you say, “I cannot see it; I cannot handle it, so I do not really know that I have received.” But we do know, because God said so, and His Word is enough. We believe, not because any of the senses testify to it, but because of God’s testimony. “Let every man be found a liar, but God be found true.” I know how deep-seated the natural desire to have some visible evidence that our petition is granted, but to have any other evidence than God’s Word, is not faith; the man or woman who walks by faith needs no other evidence than that. Do you realize that there is a time when it is “wrong to pray?” When it is inconsistent to petition the Lord any longer? “And the Lord said unto Joshua, ‘Get thee up; wherefore liest thou thus upon thy face?’“ This Scripture is self-explanatory: The man of the story had been pleading with God for the desire of his heart, and it seems as we read, that he keeps up this pleading long after God has heard him and sent the answer on the way; and so the Lord reproves him for tarrying longer, and indicates very definitely that it is time for him to rise and go about his business, because he had been heard and there is no need of any further praying so far as the Lord is concerned. There undoubtedly comes a time when further praying is unbelief. There is such a thing as praying oneself out of faith. Let us take Him at His Word and count the thing done; and it is done, because He said so. The man who gets things from God will act out his faith (James 2:17–26), “As the body without the spirit is dead, so faith without works is dead.” What is a dead faith? It is a faith that is not working. It is a faith that is not operative. Real faith is not a passive thing; It will act out what it believes; it is a practical thing—it does not expect God to do the thing that we alone can do. A believing person puts faith into action. When he has asked God for something, he proceeds as if he possesses. When he takes God at His Word on some promise, the word changes into works so far as he is concerned, and he proceeds exactly as if he already possessed the thing which he desired, (which by believing faith he really does) though the natural senses may deny every step of the way that which faith has claimed as true. A splendid illustration of this thought is given in the Bible in the instance of the lepers who were told by Jesus to go show themselves to the priest for cleansing; the Scripture says, “As they went, they were healed”: that is, as they put their faith into action God met them. If we put forth the effort of a believing will, God honors that step and meets us. In the case of the man with the withered arm, Jesus said, “Stretch forth thine hand”; it was really impossible for the man to stretch forth his hand, but when Christ commanded, he made the effort and his hand was made perfectly whole. The seat of faith is in the will, and I have found that God certainly expects us to put our faith into action. Some one has said, “When faith goes to market, it takes a basket along.” Like the old lady who was on the way to a prayer-meeting where they were going to pray for rain, for there was a drought and it was very hot and dry; as she carried with her a fan, she was put to shame for her little faith when she met on the way to this same meeting, a little girl of eight, wearing overshoes, raincoat, and carrying an umbrella! That simple, trusting child was putting her faith into action. Thank Him now for the answer! Praise Him for His faithfulness. The parcel has not been delivered at your door, but you have closed the deal with Him over the royal telephone, and there is in your heart a very sweet trust and confidence in His promise while waiting for the doorbell to ring. This is one of the sweetest verses in God’s Word: “They that believe have entered into rest.” We began with prayer but we end with praise. “He hath never failed in one of all His Promises”; Heaven and earth shall pass away, but my Word shall not pass away”; “The promises of God are yea and amen to the glory of God.” Will you not reach out and touch the hem of His garment? Dr John G. Hartnett is an Australian physicist and cosmologist, and a Christian with a biblical creationist worldview. He received a B.Sc. (Hons) and Ph.D. (with distinction) in Physics from The University of Western Australia, W.A., Australia. He was an Australian Research Council (ARC) Discovery Outstanding Researcher Award (DORA) fellow at the University of Adelaide, with rank of Associate Professor. Now he is retired. He has published more than 200 papers in scientific journals, book chapters and conference proceedings. This entry was posted in Belief in God, Biblical doctrines, Salvation testimony, Trials and temptations and tagged answer to prayer, healing, Hem of His garment, prayer, Salvation, Virginia Brandt Berg. Bookmark the permalink.